Professor of Ethnomusicology, Royal Holloway, University of London. Anna Morcom’s work focuses on Indian and Tibetan music and dance from a variety of perspectives including politics, nationalism, modern history, media, gender, and economy and development. She has written three books: Unity and discord: Music and politics in contemporary Tibet (2004, Tibet Information Network); Hindi film songs and the cinema (2007, Ashgate); and Illicit worlds of Indian dance: Cultures of exclusion (2013, C. Hurst and Co; OUP New York); Illicit worlds of Indian dance was awarded the Alan Merriam prize of the Society for Ethnomusicology (SEM) and the Marcia Herndon prize of the Gender and Sexualities section of SEM. Her current research is focused on the economic anthropology and history of music, and her interests on music in Tibet and exile Tibet, Indian film music, and the sociology of Indian performing arts continue. She is Professor of Ethnomusicology in the Music Department at Royal Holloway, University of London. 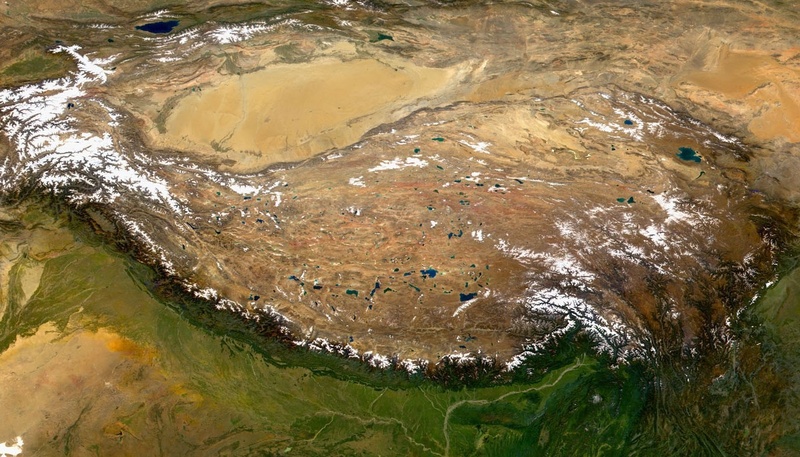 On Wednesday, October 19, 2016, Professor Dan Smyer Yu, director of the Trans-Himalayan Studies at Yunnan Minzu University, returned to the Elliott School of International Affairs to give a workshop on his current book chapter, titled, “Trans-Himalayan Buddhist Secularities: Sino-Indian Geopolitics of Territoriality in Indo-Tibetan Interface.” The Tibet Territoriality Seminar is an occasional series convened by the Tibet Governance Project of the Elliott School of International Affairs, exploring topical issues relating to the theme of territorial politics. In honor of His Holiness the Dalai Lama’s visit to Washington DC, the Tibet Governance Project screened the award winning film The Cup on Wednesday, June 15, 2016 at 4pm. The Cup is the story of a group of young monks from a remote Himalayan monastery desperately trying to find a television to watch the World Cup final. The atmosphere of serene contemplation in the monastery is disrupted by soccer fever, the chief instigator being a young student, the soccer enthusiast Orgyen. Prevented by various circumstances from seeing the Cup finals on television in a nearby village, Orgyen sets out to organize the rental of a TV set for the monastery. The enterprise becomes a test of solidarity, resourcefulness and friendship for the students, while the Lama, head of the monastery, contemplates the challenges of teaching the word of Buddha in a rapidly changing world. The film is based on true events of a time when the World Cup came to the filmmaker’s remote village via satellite dish. This is a film packed with universal themes of tradition vs modernity and the value of human endeavor. The Cup is one of the first films made in the Tibetan language. The Tibet Governance Project and the GW Mind-Brain Institute hosted Khenpo Tsultrim Lodro, abbot of Larung Gar of Serthar, Tibet, for a seminar at the Sigur Center for Asian Studies. The Tibet Governance Project at the Elliott School of International Affairs was honored to host prominent Buddhist scholar and dynamic public thinker Khenpo Tsultrim Lodro as part of the Research Initiative on Thought Leaders and Civic Space in Contemporary Tibet. The public dialogue was held at the GW Jack Morton Auditorium on Thursday, May 26th from 6.30-8.30pm, featuring Khenpo Tsultrim Lodro in conversation with cognitive scientist Dr. Elissa Eppel of UCSF School of Medicine, and Professor Tadeusz Zawidzki, chair of the Philosophy department at GW and co-convener of the GW Mind-Brain Institute. Khenpo Tsultrim Lodro is a distinguished Buddhist scholar and dynamic lecturer and public thinker inside contemporary Tibet. As abbot of Larung Gar Buddhist Academy in eastern Tibet, Khenpo is part of the core leadership of the world’s largest residential Buddhist community. Khenpo has lectured widely to both Tibetan and Chinese audiences on ethics, civic life and contemplative practice while leading a public conversation inside Tibet on language revitalization, HIV/AIDS awareness and Tibetan vegetarianism. One of the most provocative public commentators on Tibetan civic life today, Khenpo has been deeply committed to expanding a dialogue between modern science and Buddhist philosophy. Shidé Nyima is one of the most dynamic cultural producers in contemporary Tibet. A prominent comedian, writer, producer and filmmaker, he is a pioneer in Tibetan-language television, and is a prolific writer of song lyrics, comedy sketches, and poetry. He has won several awards for his achievements in poetry, stage, and film. Most recently he has won acclaim for his title role in Pema Tseden’s award-winning THARLO (2015), including Best Actor award from the Shanghai Film Critics Awards, and a nomination for Best Actor in the 9th Asia Pacific Film Awards. He was recently based in Washington DC as a Tibetan Artist in Residence with the Smithsonian Center for Folklife and Cultural Heritage. This was Shidé Nyima’s first visit to the United States. There is a moment in Shidé Nyima’s vivid documentary of a young Tibetan shepherd that appears to get to the bottom of things: a young woman stares off into the distance as she reassures her brother that he can carry on with his studies as she has taken on the burden of tending the family livestock; he barely manages to acknowledge her as he focuses intensely on his book. For many at last night’s George Washington University screening of Tsezung Lhamo, the gender gap evident in this long and meticulously captured moment was a distillation of the broader message of gender inequality of the film. Or was that the case?